When it comes to oil cleansers, the common question people always complain about is that these oils are easy to cause breakouts. To deal with those breakouts or irritations can be frustrating, to say the least. As you know, Korean cosmetic companies are very good at developing new skin care products and they always listen to the consumers’ voice. 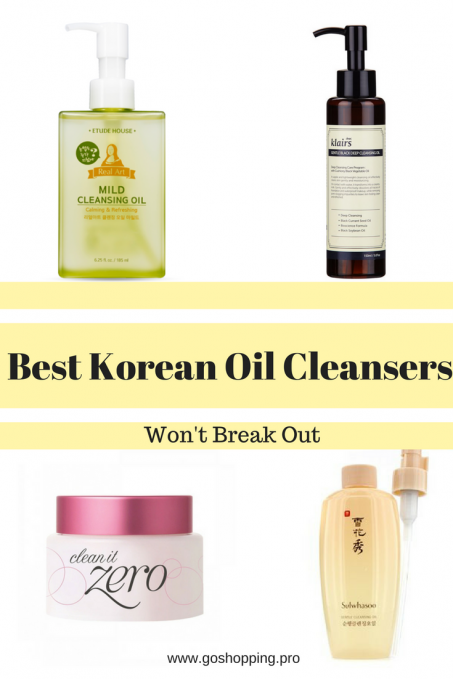 Hence, you will find some really good cleansing oils in K-beauty. Those oils not only have the great cleansing effect but also won’t break you out. 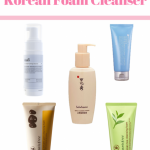 Read the reviews below to see which one is on the list of best Korean oil cleansers. This review is based on my own experience and my research. If you have been swimming in the K-beauty for a while, you must know this Banila balm cleanser. It is always the best seller of Korean oil cleansers with high repurchase rates.It comes with white sherbet balm but it will turn to be lightweight silky oil when you apply it on your face. The formula here contains papaya extract to gently exfoliate pore-clogging impurities and the high-quality mineral oil to remove your heavy makeup thoroughly in a short time. Besides, a lot of moisturizers had been added to the ingredients list so that this cleanser will not dry your skin out. You can take a small amount of it by using spatula included in the package and massage on your face until all the makeup has been dissolved. This cleanser balm suits for all skin types. However, if you have very sensitive skin, you can choose another Clean It Zero Purity instead. In my review of Klairs Rich Moist Soothing Cream, I already introduced that Klairs is the relatively new Korean brand designed for sensitive skin. This Klaris Gentle Black Deep Cleansing Oil is another popular product. As the name of it suggests, it includes some “black” vegetable oils—black sesame oil, black bean oil, black currant seed oil. These oils can not only dissolve your makeup but also moisturize and brighten your face as well as controls sebum production at the same time. Plus, you can use it as a blackhead remover too. The texture of this oil is between medium to lightweight and easy to emulsify. The formula is quite mild, leaving your face hydrated and soften. Besides, even though it is designed for sensitively skinned peers, it is a good cleansing oil for all skin types. Personally, I like it more than Banila Co Clean It Zero because it is more hygienic, but I advise you to do double cleanse after using it. Sulwhasoo holds a seat next to the biggest name in luxury cosmetics and its facial skin care products live up to the prestige. This cleansing oil is one of my favorite. It comes in a light yellow 200ml bottle. The texture is so lightweight that I feel like a serum in some circumstances. Enriched with a lot of moisturizers and low-irritating properties, this oil dissolves all your makeup in a gentle way, leaving your face hydrated and bouncy. You will definitely enjoy the feeling it gives to you. Even though it is a little bit pricey, it can last for a long time. If you want to know more Sulwhasoo skin care products, you can check here. If you are looking for a Korean cleansing oil that is cheap and effective, this one would be a great choice. Etude House is a famous K-beauty brand which is famous for its cute package and cost-effective products. This mild cleansing oil contains green tea extract and chamomile extract to reduce irritation and clean your pores. The texture is slightly thicker than Klairs Gentle Black Deep Cleansing Oil above but still will not make any burden on your skin. Plus, despite its mildness, all the makeups can be dissolved easily. You face will stay hydrated after rinse off. If you pursuit stronger effect, you can choose Real Art Cleansing Oil Perfect. Some friends always complain that they hate oil cleansers because they are too greasy and will cause acne. Maybe one of the reason is that they don’t know how to use it in a correct way. Hence, I would like to share some tips for you guys. 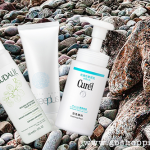 Make sure your face and hands are dry before using oil cleansers. Take enough time to massage the oil into your skin. Add lukewarm water gradually to ensure impurities and makeups emulsify thoroughly. Use another cleanser to remove residues. Check ingredients list and avoid properties that used to cause acne on your face. Use lightweight cleansing oil especially for acne-prone and oily skin. 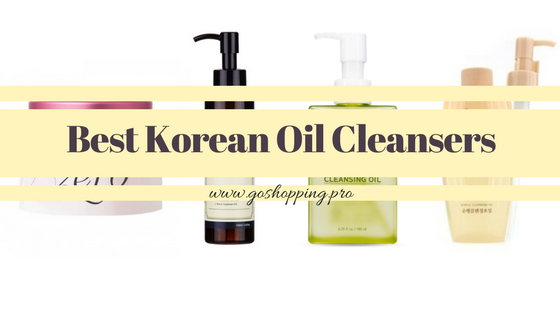 These 4 products are the best Korean oil cleansers that have good cleaning effect and won’t break you out. However, as I said, you still need to learn the correct way to use them. 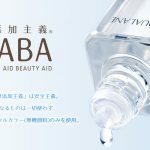 At last, I have to say in Japan, they have more excellent oil cleansers to choose, so I will do another review for them, please stay tuned.